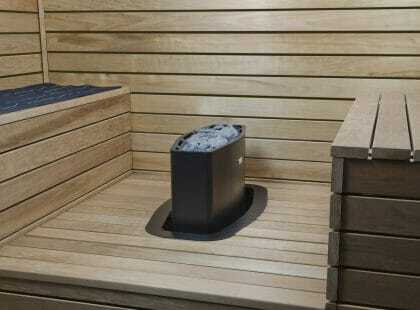 Mondex offers a wide variety of sauna heaters for many types of saunas. There are heater models to be installed both on the floor and on the wall, in addition there is a space-saving model that fits into a corner of your sauna. 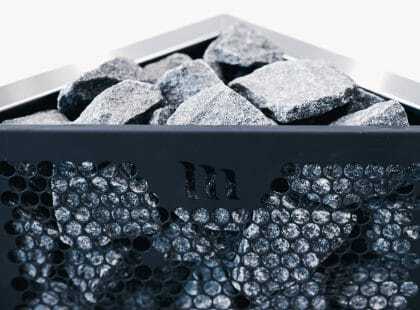 Already over 25 years ago, the first Mondex- made stoves were soapstone stoves producing a gentle sauna experience. 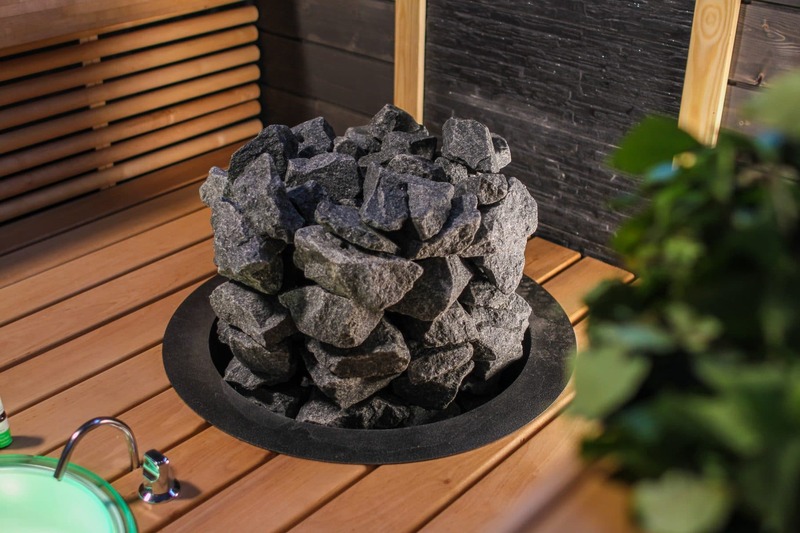 The Rakka is a unique design stove with a patented structure that highlights the rough-hewn natural beauty of the stone surface. The stove has no support mesh; instead, the hot surface is right where the water is thrown. The structure of the stove and its massive rock capacity cause the water to evaporate slowly so that the heat is long, humid and gentle – just like in a wood-fired stove. All Mondex products are designed, manufactured and assembled in Finland.